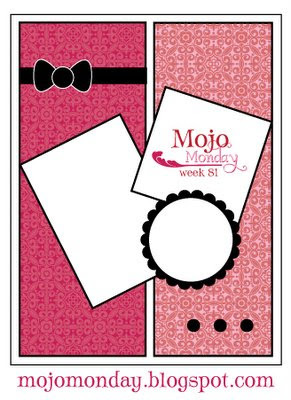 This was my first go at a Mojo Monday challenge, and it was a lot of fun. I have seen some of my favourite bloggers, including Marcia and Keesh participating, but the cards just looked so detailed and WOW that I must say that I was very intimidated. I took the plunge, and gave it a go this morning. I'm not sure if I like my card, with the colours and the combination of embellishments, so I would love your feedback on how I could improve it :) Happy Easter!! That came out wonderfully, well done for your first go. On a side note, everytime I open your blog and see your blog header I go wow - it is so crisp and fresh. Nice job with the challenge! I just love MojoMonday sketches. TFS! Gorgeous job with the challenge, I love that orange flower against that pink background.